4802 Greenwich Court, Rolling Meadows. Sears Woodland, from the 1928 catalog. This authenticated Sears Woodland is in the woodlands... it was tough to get a clear photo even in the wintertime. Rolling Meadows was incorporated as a village in 1955. 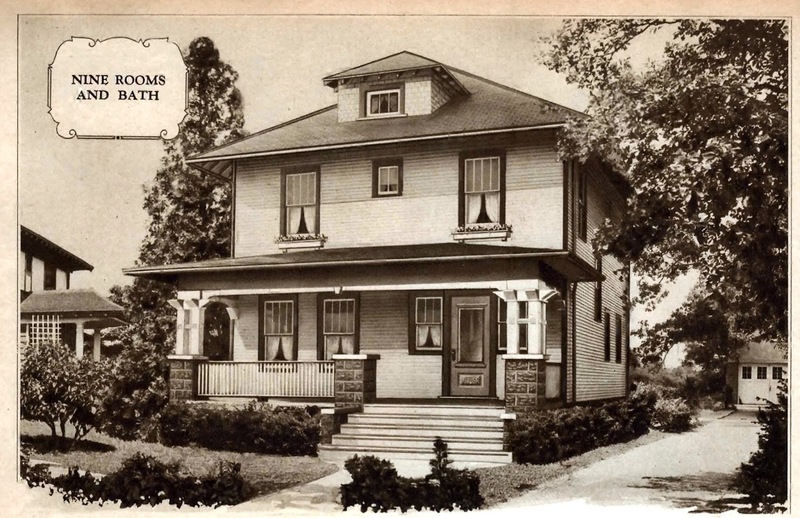 This house was originally in Palatine Township in an area called Plum Grove. This quite possibly could be the only Sears house in Rolling Meadows. 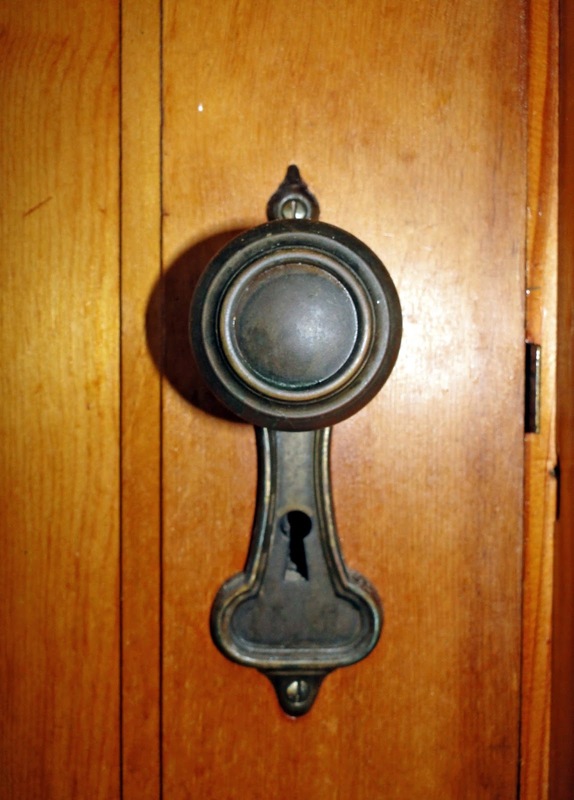 The Woodland model was very popular and had a remarkable run--it was sold from 1911 to 1933! This Woodland was built in the winter of 1930/1931 and we have hard evidence of that. Marked lumber in the house. The house kit was shipped to Dr. A.F. 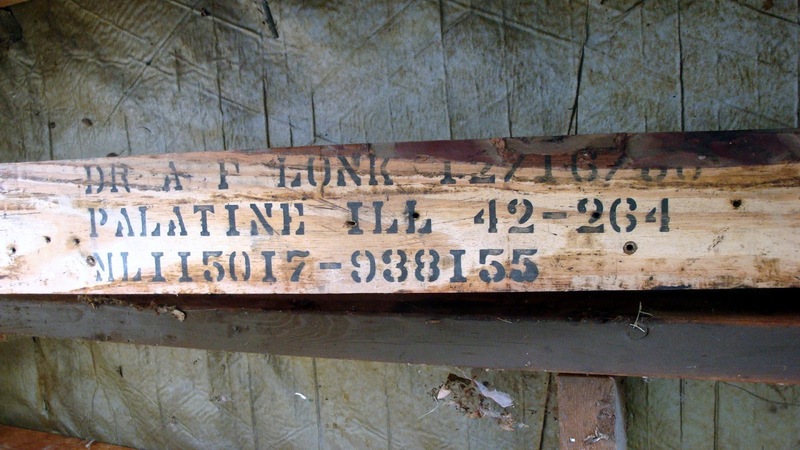 Lonk, Palatine, Ill. Date of 12/16/30. Photo courtesy of Kathy Muno. The shipping label. Routing was through the Chicago & Northwestern line which means Dr. Lonk picked up the materials at the Palatine train station. Photo courtesy of Kathy Muno. The house in 2012. Some Woodlands like this one have a third set of pillars--it must have been an option. Photo courtesy of Kathy Muno. The Woodland has features that make it easy to identify. It has the unique pillars in front. It has an off-center front door with two attached windows. 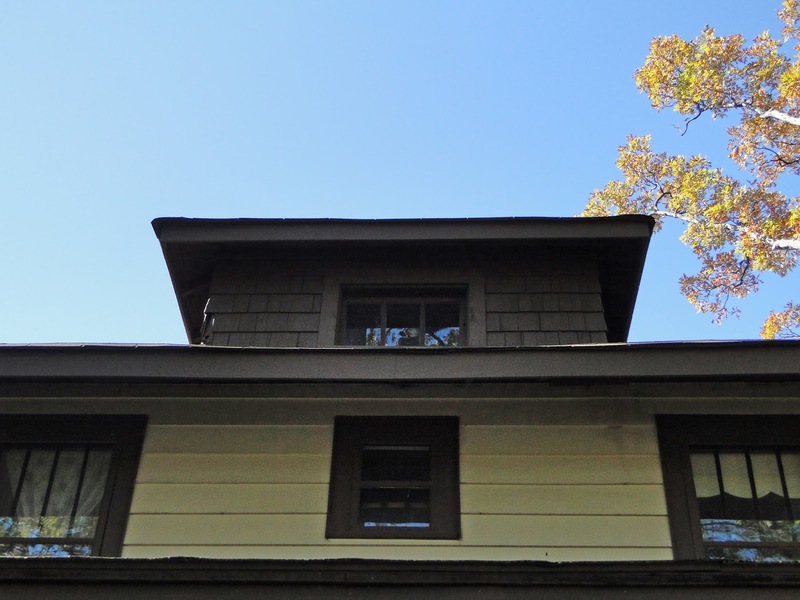 It has a small closet window centered on the second story. 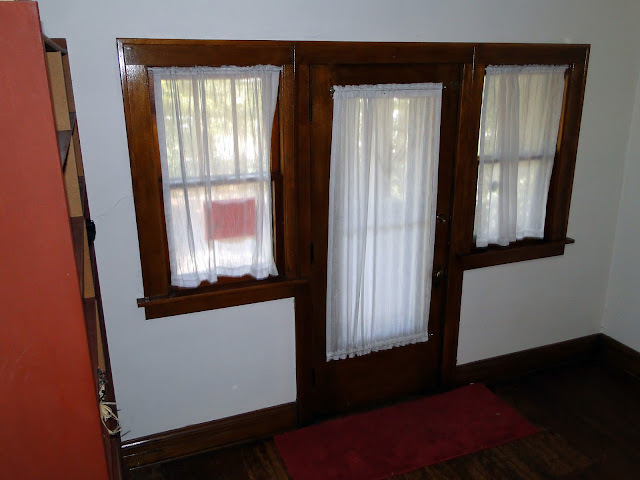 Another look at the front door and the attached windows. Photo courtesy of Kathy Muno. Another look at the center window and the dormer. Photo courtesy of Kathy Muno. This Woodland in Rolling Meadows has the floor plan that was offered after 1926. The newer Woodland plan had a full bath on the second floor. There are other clues inside that the house is from Sears--for instance, the door hardware. Photo courtesy of Kathy Muno. The La Tosca line as depicted in the Modern Homes catalog. 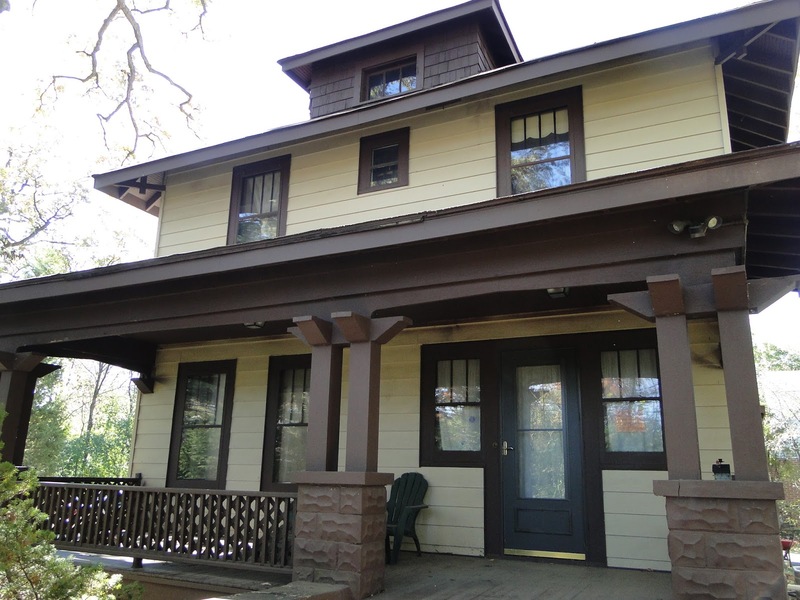 The previous owners put in cement siding and rebuilt the front porch. 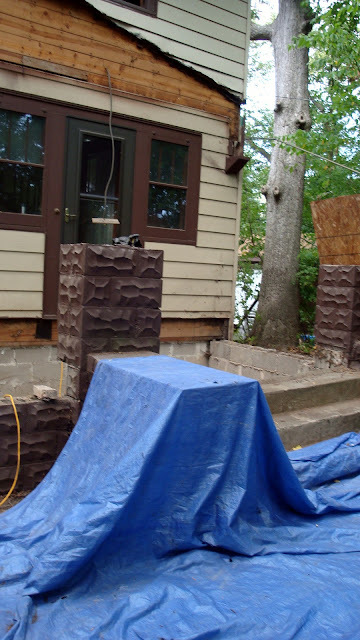 The porch being rebuilt. Photo courtesy of Kathy Muno. From the marked lumber, we know the original owner was Dr. A.F. Lonk--and he was quite a character. 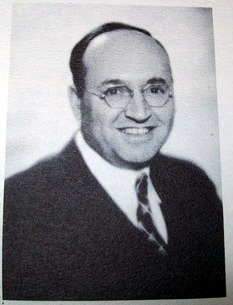 Adolph Frank Lonk and his wife Lillian lived on the northwest side of Chicago before moving to Palatine Township in 1931. Their daughter, Diana, was born in 1932. 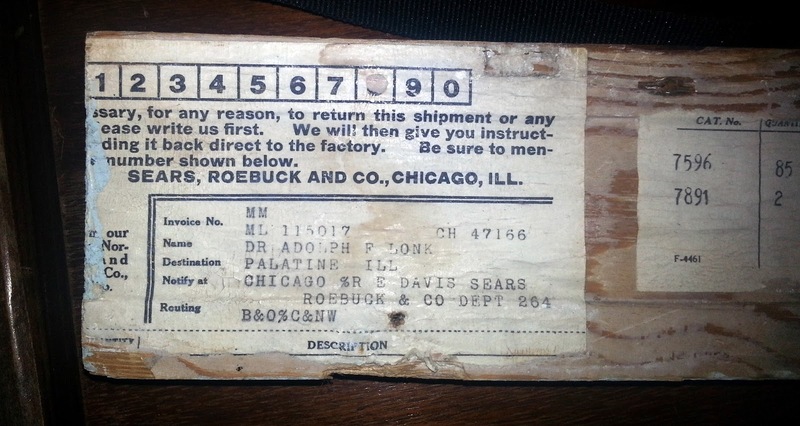 In 1920, Lonk was working as a cutter for a leather manufacturer. He was also an inventor who held several patents, including those for the "carpet stiffener", "key fastener", and "nonslip tie". In 1929 he came up with the idea for a vaudeville act called "Dr. Abracadabra" and he began using the title "Dr.". Lonk claimed to be a Doctor of Chiropractic; I have no evidence to support that. 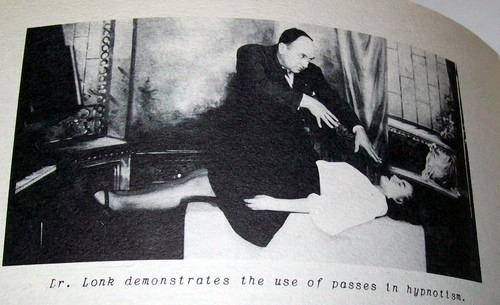 By the mid-1930's, Lonk was promoting himself as a master hypnotist. 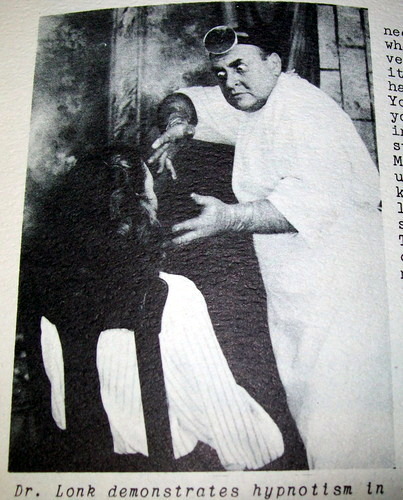 He started the Lonk Institute of Hypnotism and Psycho-Therapeutics, which offered correspondence courses in metaphysics and psychology, earning students degrees in "Master of Hypnotism" and “Doctor of Suggestive Therapy”. Photos from the correspondence course in hypnotism. I have no words to describe these photos. Maybe "creepy". Photos courtesy of Amazon. I'm not sure when the Lonks moved out of the Sears house. They were in the Palatine area until the mid-1950's and later moved to Woodstock.